How much is an old photo worth, and how long IS a piece of string?? These two questions go hand in hand although the latter seems to be an easier one to answer. I buy and sell old photos and postcards for a living, that’s a full-time living, with kids, a dog, a ridiculously high electricity bill, the whole package, so I need to have a fair idea of what I’m buying to keep my ‘dealers’ badge rather than become a full time collector with expensive taste! I buy my photos the old fashioned way, by door knocking established areas and simply asking to purchase old albums and odd black and white photos. To most people, this may seem a little daunting, but let me assure you, it’s easy and most of the time, fun. It’s always nice to see the change of expression on people’s faces when you tell them you’re not selling anything….you’re BUYING! Let’s get the juices flowing first. The most expensive photo ever sold is Andreas Gursky's Rhine II, a simple (and I do stress SIMPLE) photo of a bit of water, a band of sky and some thin strips of grass (just saying it how it is), it fetched $4.3 million dollars on November the 11th 2011. The next most expensive photo was a self portrait by Cindy Sherman as a younger girl lying on a tiled floor (I’m trying hard not to be cynical ), it fetched $3.89 million dollars in May 2011. Now I can continue down the list, but you can tell we are talking about art, not so much the photo. 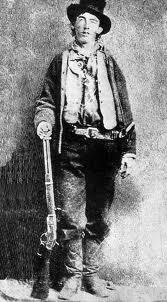 However, in 6th place on the all time expensive list is a rather weathered snap of Billy the Kid, the famous American outlaw, this managed a modest $2.3 million also in 2011. This photo is what I term ‘real’, not artistic for arts sake, but historical, topical and not stylised. I can hear you saying the likely hood of finding photos like these amongst someone’s albums is nil. As for the artsy stuff, I have to agree, but as far as images of famous historical people, or images of historical importance, the odds are higher than you think. Ebay has been the go to hub of collectors for years now. With a few short clicks a wealth of information is paraded past you giving you a sense of ‘know it all’ power, having the value of nearly everything at your finger tips. In December 2011, an album containing snaps of Military China sold for more than $6600, and another Chinese album for $6400. An Egyptian album went for $5000, $3000 for photos of dental equipment!! 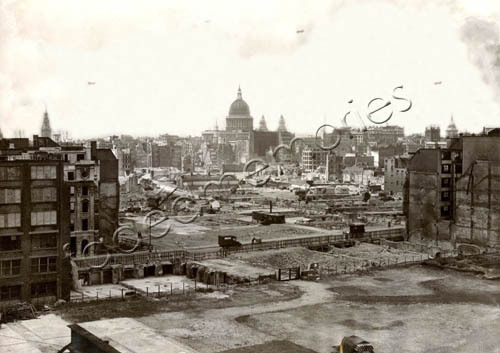 I myself recently sold an album of WW1 snaps for a little over $1600. This is only within the last month, and I haven’t even started on the signed portraits. I bought an album last year and found 3 old gentlemen from the early 1900’s all signed at the bottom, a little research later and I realised I was looking at 3 Australian Prime Ministers. 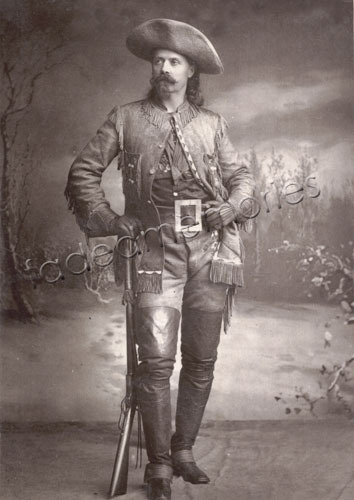 A few years ago I had the privilege of selling one of my photos to a Texas museum after uncovering the man in question was in fact Buffalo Bill Cody. Now be assured, it’s not all diamonds and hot meals, there’s alot of ‘stuff’ you have to wade through to discover the gems, but even in the most mundane of photos, there’s a collector with an interest. Who would of thought that pictures of men with beards, tricycles, fishing rods, aeroplanes, cows, beach gymnastics, would all have a dollar value. CDV (Carte de Visite) albums are fascinating. French for Visiting Card, these types of photos were predominately portraits and ranged from approx. 1854 through to 1890. They were an albumen print which means egg whites were used in the developing (reason why most turn yellow with age) with the image attached to a stiff card back often with the studio’s name printed at the bottom. Here amongst the small pocket sized images you will find mostly family shots, but also some very (expensive) famous people, as the card was often replicated and sold on as either a business card or advertisement. People of notoriety have a habit of wanting to be remembered, so not many shied away from this new technology that promised them eternity. From about 1875 till 1905 Cabinet cards were very popular. Similar to CDV’s, they were larger in size and are found to have more landscape images on them, as the camera was evolving and making it’s way outdoors. In this era just before the turn of the century, virtually all these types of photos will have a good dollar value, but the best of them can skyrocket. As you flip through hundreds of images you will start to notice the ones that stand out a little more, people with a uniform, a penny farthing bike, a shot of a grocery store, or an official gathering. 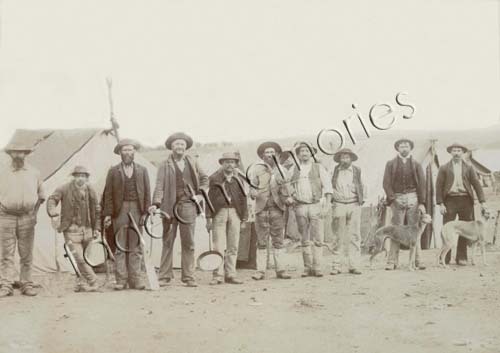 Remember that photos at this time were the domain of the wealthy and not as common as the family album of today. For the average in this category each photo will be worth approximately $1-$5, the stand outs should get between $40 - $100, with some research and as much information as possible, a good photo card normally fetches between $100 - $500. The invention of the Box Brownie ( you push the button, we do the rest ) by Kodak revolutionised the world of photography when it was invented just after 1900 and sold on mass around 1920. Now one in every three homes had access to a camera, and as with all new technology, everyone was excited and eager to push the boundaries. We had an insight into war like never before. It’s these early, sometimes grainy shots of action in the trenches that still fascinate the collectors today. Small ‘field’ photos average between $10 - $100 depending on the level of action. 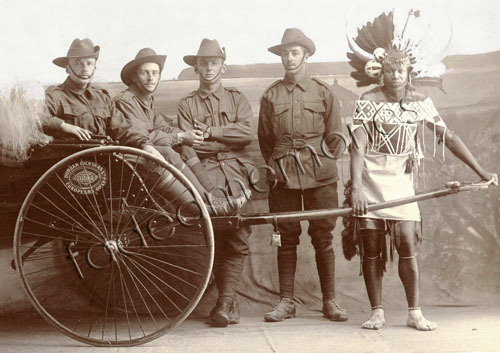 Group photos of Battalions (often printed on postcards) should get between $20 - $120 depending on the level of action the soldiers had seen (e.g. 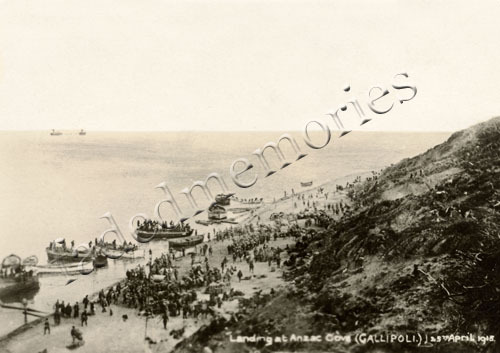 Australian 10th battalion landing at Gallipoli). It’s not uncommon to find small albums containing one man’s journey through WW1, these along with any supporting paraphernalia that creates a ‘package’ often get the best prices, average $200 - $2000. As industry booms, the record of every new invention becomes a legacy that needs to be captured on film. Popular photos from the 1920’s to the 1950’s include; Trains, buses, aeroplanes, ships, buildings, bridges, factories, and even movie theatres. Anything that will announce to the world ‘How great is man’s creation’. It’s not yet the place for natural, artistic landscapes. It does however include ‘landmarks’, that people are seeing for the first time with the luxury of fast, economical world travel. The Eiffel Tower, the Pyramids, the Suez Canal are just a few of the more common shots I come across. All of these original snaps have value, starting from around $3-$5 each to mega bucks if you own a photo of something world renown that no longer can be photographed, e.g. The Titanic (launching photo sold recently $2750), The Hindenburg in flight ($1100) and so on. Sport is another huge arena when it comes to pricey photos. 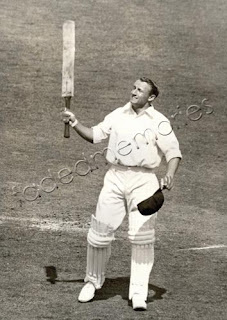 The likes of Babe Ruth, Bobby Jones, and of course ‘our Don Bradman’ even in a candid pose can bring anywhere from $100 upward, and a good majority can be found signed, which will just make the image skyrocket! Always remember one golden rule. Only buy original photo’s or slide’s! Copies, reprints, book images, calendar shots, and newspaper images are, in nearly all circumstances (rare exceptions) are worthless. So if you are buying to sell, be wary and in the beginning, be cheap. Get to know your buyers and the things that make them go Mmmm. If you are a collector, always pick a genre that appeals to you, something fun. It’s great to learn more about a topic with the aid of great photos. Ultimately, like all keen collectors, you will also become the teacher, and pass on your knowledge to others of like mind. By the way, for those still wrestling with the latter question. A piece of string is defined as being long enough to use on a small task but not long enough to have an excess amount left over, this worldly measurement comes in at 47 centimetres !! Feel free to check out my vintage photos at www.fadedmemories.com.au. These 2 photos kind of go hand in hand as true Aussie icons, of which both, Adelaide is keen to gain ownership. While lamb chops and sausage sizzles compliment every good sporting event, ‘The Don’ and his relationship with this glorious green stadium is like the finest tomato sauce atop a thick fillet mignon. I can vividly remember catching the old ‘Red Hen’ train on the morning of my first Boxing Day Test Match at the Adelaide Oval. Standard weather report no matter which year you went was always 35 degrees plus, even at 10 in the morning! People on the train crammed in with their fold ups, terry towelling hats, 4 bottles of Coconut oil (or vegetable oil which was way cheaper), an esky filled to the brim, and all wearing the Australian uniform….a pair of stubbies, tank top and thongs (men and women). From the train station to the oval, the atmosphere was electric. It was like a yobbo’s Christmas Pageant and we were all playing a part. 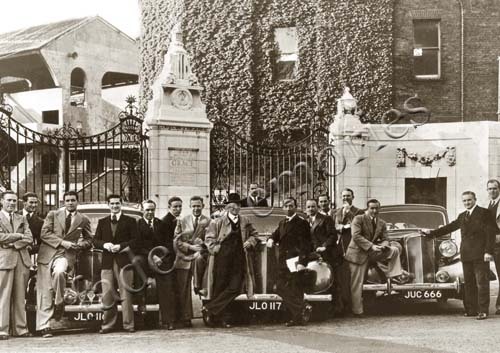 Through the 19th century turnstiles, up a small grassy knoll, and there it was….Cricket Utopia! The view stretched out like a royal green carpet with a gothic steeple backdrop, ancient Moreton Bay Fig trees and the crowd buzzing like bees. The smell grass and steak sandwiches, the sound of perfectly practiced chants that would put it up the Poms, the warm trickle of beer running down your back from clumsy Steve and the mob that came dressed as watermelon heads……and the game hadn’t even started!! The combatants strode out to the middle, a country on their shoulders. Old men cranked up their tiny transistors to hear what they couldn’t see. The whole Oval, 40,000 odd (felt like 60,000) fell into an eerie silence that burst into an explosion of noise at the bowling of the first delivery. As per usual, a great flat wicket with plenty of runs on offer…thanks Les! Here in 1932 Don Bradman notched up the highest test score at the Adelaide Oval, that of 299 not out. In the same game Clarrie Grimmett collected fourteen wickets, the most ever taken in a Test match at the ground by a bowler. 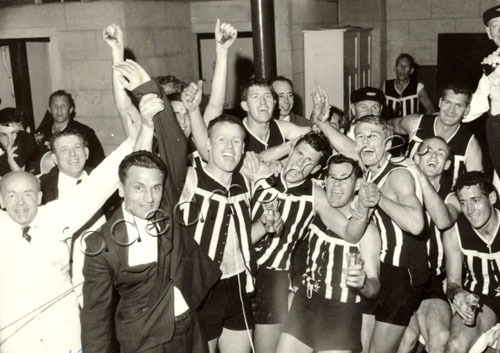 Back in ’65 when Port Adelaide won another premiership, there was 62,543 shoulder to shoulder. An alien by the name of David Bowie even performed here. We call it Bradman’s home ground, alot of people in NSW would beg to differ. Let’s be honest here, Adelaide has always had an inferiority complex. We as a city seem to have a fear of commitment when it comes to change. Do we hold onto our heritage or come into the 21st century and embrace what Melbourne has done so easily (yes, we are peering over the fence when no one is watching...and we are found wanting). No more !!! I hear you say, but you know the list is long. 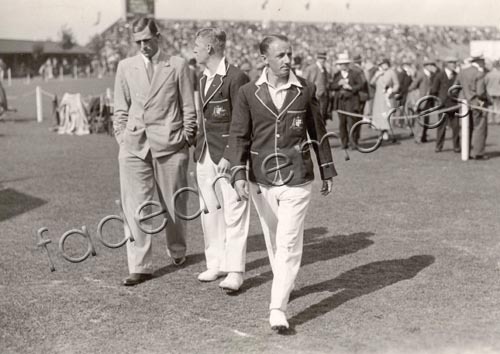 We can hang our hat, on this, (arguably) the most beautiful Cricket ground in the world, and ‘our’ Don Bradman, the epitome of Integrity. So raise your lamb chop people, Adelaide is Heaps Good! 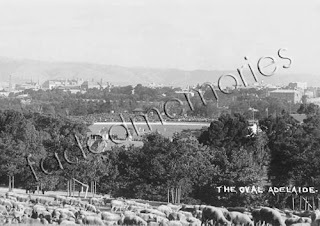 These old historical photos, Adelaide Oval c.1920, Don Bradman scores 334 not out at Leeds c.1930 and many more, including cricket, can be found at our Parent website www.fadedmemories.com.au. Port Adelaide supporters are the bane of my existence. I know, you’re probably thinking I’m understating that a bit, but I want to remain on good terms regardless of my overwhelming opinion. My unfortunate first encounter with a Port Supporter was when I was 10 years old. Up until the age of 9, SANFL footy didn’t mean a whole lot to me. I grew up in a working class suburb called Elizabeth in South Australia (maybe a little less emphasis on the working……and a little less emphasis on class. We’re a tough mob we can handle criticism). A couple of local league lads from Central Districts came by our school to teach us the basics and plug their junior program. It was a huge success due to the fact that Elizabeth’s landscape mainly consisted of 2 things, Pubs and Ovals. Every Saturday, every family had a least one representative on a playing pitch of some sort, and every Saturday night, with a Southwark or Whisky in hand, the days matches would be discussed, argued, re-enacted and often by 2 a.m. settled! I lived only 30 minutes walk to Centrals home ground, and got in free to most matches due to dodgy fencing behind the grandstand. At the age of 9, the atmosphere was a good as any carnival. I could yell and chant along with the cheer squad, and hurl as much abuse at the umpire without my Mum smacking me in the back of the head. I learnt some of the players nick names and addressed them as if they were my mates at the local shopping centre. “Hey Bucket Head…nice game!” Players loved cheeky know it all kids….I knew that much was true. Well, in the summer of ’79 (a much better song title), a family moved into the housing commission house at the end of my street, bringing 3 new kids with it, roughly my age. The weirdest thing about them was that they all had orange hair…..except the Dad. When I say orange, think of an orange, then paint that bright orange! That wasn’t a problem for me, I was happy to make friends with all religions. We had an awesome summer, playing in the street till after dark, running under the sprinklers in the front yard, throwing darts and making bolt bombs….I did say it was Elizabeth. We even dressed up as Kiss and performed a rockin’ dubbed concert for the neighbours. I wasn’t allowed to be Gene Simmons, my Mum thought he was evil. Best mates we were, saw eye to eye on everything, until the footy season started. It came so out of the blue, so unexpected, there wasn’t even a hint all the time I was over their house. They were all PORT supporters. Now, I was 10, wide eyed and ignorant to the unwritten rules of friendship and footy. I thought we could work it all out, like Germany and Poland sharing a piece of Gouda with only one cheese knife. I was wrong. War had erupted in Jeffries Street. Saturdays became a battle ground with flags and scarves marking the boundary of respective houses, an invisible barrier that no opposition could cross. Recess and a lunchtime kick at school got a little rougher than usual. When your team lost, you fully expected to receive one punch in the arm for every losing goal margin, and the local graffiti got a little personal, but you know what….we loved it! We would pretend that we were warring armies. 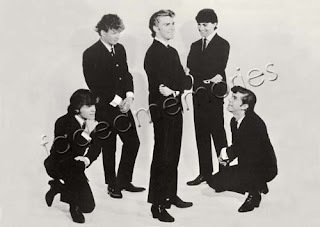 Port had wharfies and ex-cons, while Centrals had skinheads and Jimmy Barnes, Wow! When summer came back around we were like old comrades comparing wounds, and playing in the sprinkler once more. This went on for years, the anticipation on Saturday mornings, the thrill of every quarter, hanging your scarf out the car window on the way home, adding more badges to your already over adorned 20 kilo duffle coat, and the most important part of the whole package..a sense of belonging. Every victory your team scored, you scored. Even when they lost, you all bore the brunt as a group. The sense of poverty, struggle and social instability momentarily disappeared…you were not alone. The reason why I like this photo (pictured above) is twofold. Firstly, one word sums up the feeling I get when I look at it…Passion. 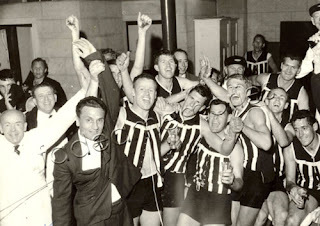 It’s after the game in the change rooms after Port Adelaide had won the 1965 premiership against Sturt by 3 points, in front of no less than 62,000 people. Secondly, it’s our biggest seller. It’s not a staged photo, there’s no “can you all move in together?” It’s raw emotion which translates to the viewer regardless of whether you barrack for them or not. Purchasers of this photo love the fact that both Fos Williams and Jack Cahill both frame the main player group. SANFL footy has had a resurgence recently, even if Centrals now dominate the competition (He He!) People are once again feeling the patriotism of ‘their’ suburb, and sharing the credit for a hard fought win on the weekend. Memberships are up and the crowd is slowly growing, everyone has an opinion about footy. Let’s face, who hasn’t bought a used car from an ex-player? I have learnt that all Port supporters are the same, argumentative, stubborn, self righteous, one eyed and blind! I had hoped that my childhood sufferings with my ‘friends’ down the road would leave me mentally unscarred. As I write this, it has come to my attention, that the primary colours of the website that I designed are, black, white…….and orange!